Greyhound Farley is the Culprit! Mom returns from beading to see chewed files scattered around the living room floor. The sheet that covers my couch was on the floor. Mom’s comforter was in the hallway close to the kitchen. Although the files were covered with a towel, someone had nosed his/her way into the pile and selected those to be trashed. No investigation was necessary. Mom knows that I’m with the program. If something is covered, I leave it alone. After trying to drag Mom’s bed pillows through the doggie door when I first moved in, I learned quickly that this was unacceptable. 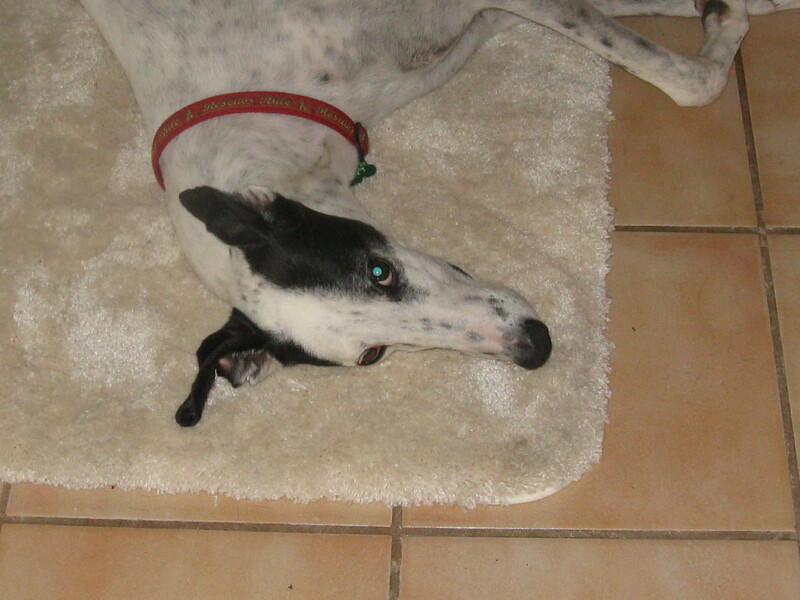 However, Anabel is one curious greyhound and, if something is covered, she wants to see what’s underneath. I knew females were trouble. Today, while responding to emails, Mom could hear that one of us was playing in the living room. Me and Anabel were curled up on our beds in the computer area, so that left Farley. Moving into the living room, Mom saw that Farley had dragged my couch sheet and her Snuggy onto the floor, and was busy chewing on one of her socks that he’d snagged from her tennis shoe. Anabel looked rather smug when Mom apologized to her and reduced her probation period to one week and told Farley that she would report him to his primary foster Mom when she returns from vacation. The boy was not pleased. 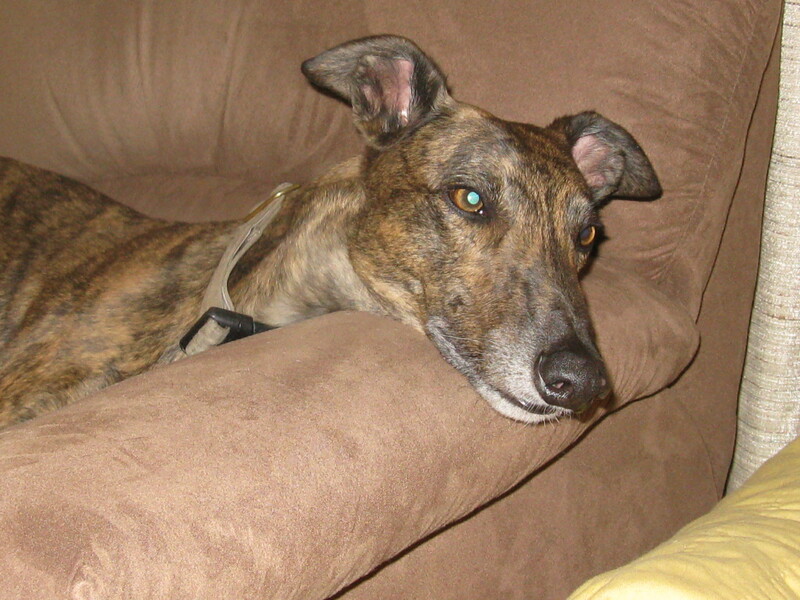 I sat back and relished my position as top greyhound with no probation. While I may have contributed to the file shredding game, I certainly did not initiate it, ‘cos I know better. But once those files hit the floor and paper spilled out, what’s a greyhound to do? What comes naturally of course – shred, chew and fling. Life is good!